This post is in partnership with Disney•Pixar. All thoughts and opinions expressed are my own. They're back! Disney•Pixar’s Incredibles 2 hits theaters June 15th, and we can't wait! 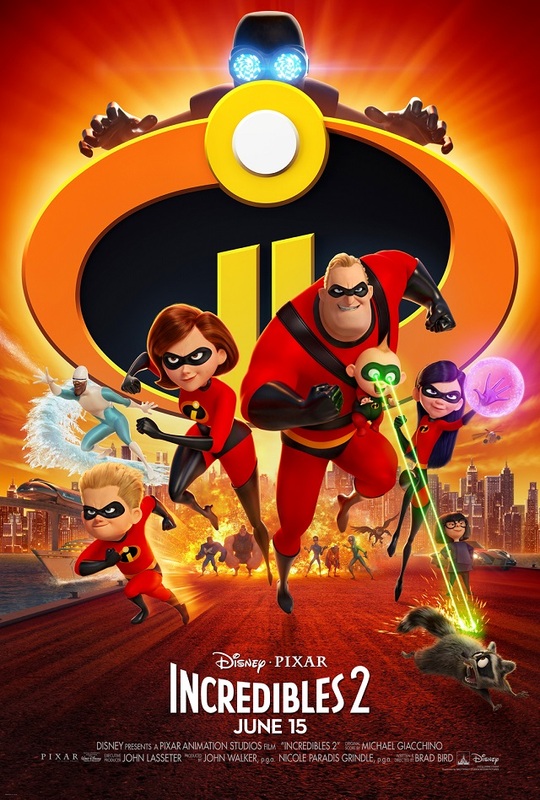 In this much-anticipated sequel to the first film, "The Incredibles," Helen (voice of Holly Hunter) is called on to help bring Supers back, while Bob (voice of Craig T. Nelson) navigates the day-to-day heroics of "normal" life at home with Violet (voice of Sarah Vowell), Dash (voice of Huck Milner) and baby Jack-Jack whose super powers are about to be discovered. Their Mission is derailed however when a new villain emerges with a brilliant and dangerous plot that threatens everything. The Parrs don't shy away from a challenge though, especially with Frozone (voice of Samuel L. Jackson) by their side. That's what makes this family so Incredible! 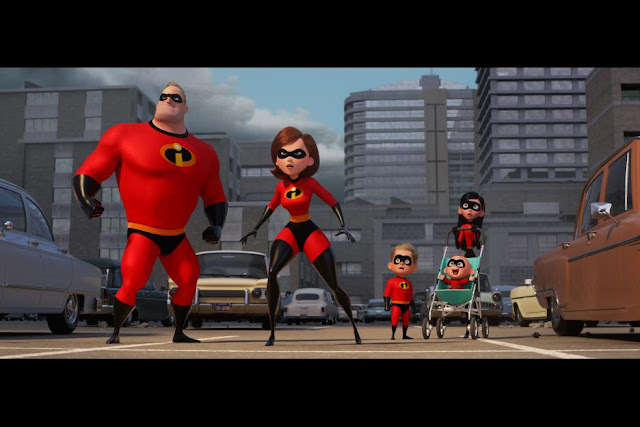 Read on for more on Disney•Pixar’s Incredibles 2, including the official trailer. PLUS Enter to win a family 4 pack of Fandango vouchers (valued at $21 ea.) to see Incredibles 2 at a theater near you! Check out the official Incredibles 2 Trailer, below. Entry is simple! Enter via the Rafflecopter form, below. Entry ends 6/13/18. Good Luck! **// Disclosure: Prizing provided by Disney•Pixar. We are really looking forward to seeing this. It's been so long since the first Incredibles movie! My husband loves this movie and has been looking forward to the sequel since it was announced! Can't wait to see this...I'm more excited than the kids. We are looking forward to seeing this movie. The DIY No-Sew Watermelon Flip Flops are really cute. My niece would love that. This is going to be a whole day event for us whenever we go - lots of fun and treats and food for the day because the whole family is looking forward to seeing the movie! I'm really surprised it took so long before 2 came out. I loved the first one and we are looking forward to this one too.